2019 Opportunity Drawing Tickets - Sold Out! The temple will only sell 250 tickets at $100 each. A ticket will be selected at the monthly board meetings and the monthly winner (from January - November) will win $500! Not only do they get the money, their ticket will be tossed back into the ticket bin and this same ticket can be selected another month! In December, the 2-winners will get $1000! Board members have tickets to sell for $100 each. 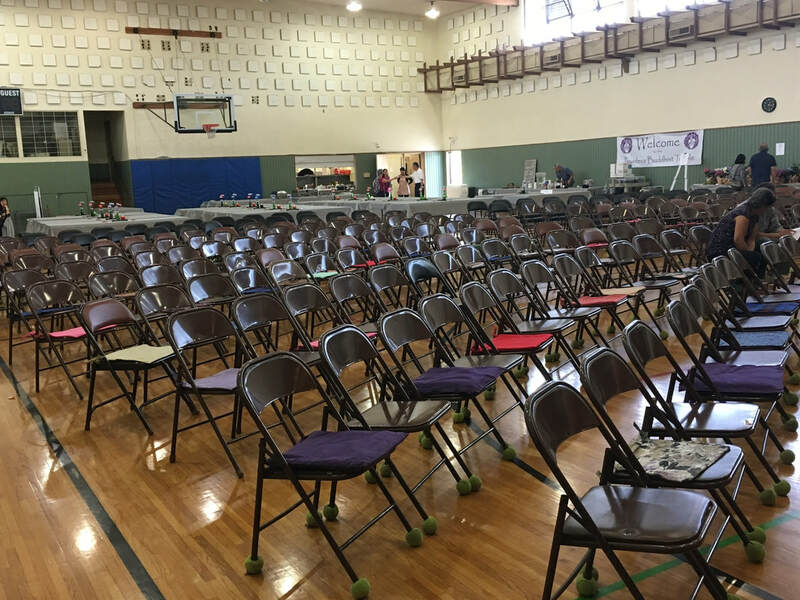 Contact Jeannie Toshima, Gerry Ito or Shelley Shinmoto to support our Temple! ​See a list of all the winners on the Fundraising Page. We deeply appreciate all donations to our Temple. Please use the button below to donate to our Offertory, Special Services, Wish List and Flower Funds via credit card. Please contact the Temple directly to arrange to make donations to the Eitaikyo Fund (Perpetual Memorial) or Legacy Funds via credit card. Gassho. Please help ring out 2018 and ring-in 2019 at our Year-End Joya-e Service. Those in attendance will participate by ringing the temple bell 108 times. Service will be led by resident minister, Rev. Gregory Gibbs @ 6:00 pm. 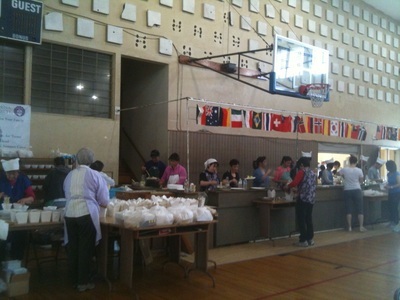 ​Traditional soba will be served following the service. We offer several classes open to the public. Please click on the links or button above for more information. Classes are free for members with a suggested donation of $5 per class for non-temple members. It's our annual dinner featuring our BBQ Chicken Teriyaki. Marinated in our own special recipe Teriyaki sauce, grilled on our outdoor pit over charcoal and then lightly smoked, our Chicken Teriyaki is a flavorful, tender, juicy classic. Dinner comes with steamed white rice, cucumber sunomono and tsukemono. We make both the sunomono and tsukemono! Have it all for $15. All meals packed to go. 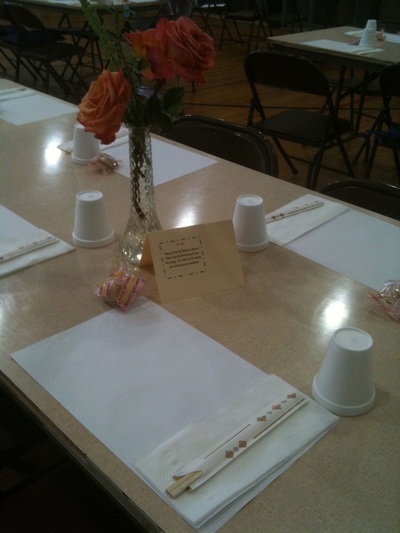 Tables available for dine in. Pick up is from 2:30-5:30 pm. Any meals not picked up by 5:30 pm (would be a tragedy), will be considered a donation. All sales by pre-order. Orders due May 11. You can preorder and pay online using cards or PayPal by pushing the "Buy Now" button or by downloading and mailing in the order form with your check payable to "Pasadena Buddhist Temple" and sending to the Temple at 1993 Glen Avenue, Pasadena, 91103. You will be notified if your order can be filled. Please add phone number where you can be reached on May 19. Thank you for your support. Thank you to Grateful Crane Ensemble for bringing "Growing Up Sansei" to our Temple. Thank you to our volunteers for working so hard to ensure everything ran smoothly. This was a meaningful, moving experience for all. A full house filled with full hearts. Jean Toshima (Temple President), Soji Kashiwagi (playwright), Shelley Shinmoto (event chair). “Growing up Sansei,” a community event and dialogue about our Japanese American upbringing, will take place on Saturday, April 28 from 2 p.m. to 7:00 p.m. at the Pasadena Buddhist Temple’s Sakai Hall in Pasadena. Presented by the Pasadena Buddhist Temple in partnership with the Grateful Crane Ensemble, “Growing up Sansei,” or GUS, combines a live play reading of Soji Kashiwagi’s comedy/drama, “Garage Door Opener,” and a community dialogue/Q&A facilitated by Dr. Satsuki Ina, a Northern California-based psychotherapist who specializes in cross-cultural counseling and trauma. 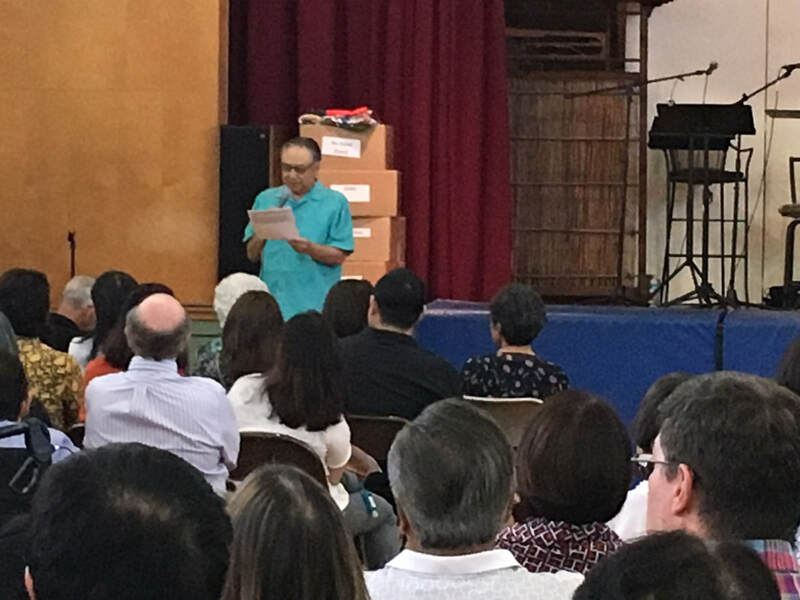 In 2016, the San Fernando JACL hosted the first GUS event at the San Fernando Japanese American Community Center with 300 people—most of whom were Sansei—in attendance. In 2017, 400 showed up in Sacramento, 425 in San Jose and 400 in San Francisco. In total, over 2,000 people state-wide have attended the event thus far­. In the play, the audience meets a Sansei brother and sister faced with the daunting task of cleaning out their parent’s garage and house after they have passed away. As they sift through dozens of tofu containers, kamaboko boards and broccoli rubber bands, they begin to uncover items from their past they knew nothing about. In the process, they begin to gain a better understanding of their parents—and themselves—by the items their mom and dad left behind. Dr. Ina will be on hand to discuss these issues as well as the trauma Japanese Americans faced in camp, and how it manifested itself in the ways the Nisei brought up their Sansei children. For many years, she has conducted groups for Japanese Americans who, like herself, were children in camp. She has seen first-hand how trauma has affected the Nisei, and how it was unknowingly transmitted to the Sansei and subsequent generations. The cast for the reading includes long-time Grateful Crane members Haruye Ioka, Dian Kobayashi, Kurt Kuniyoshi, Shaun Shimoda, with stage directions read by Ping Wu. 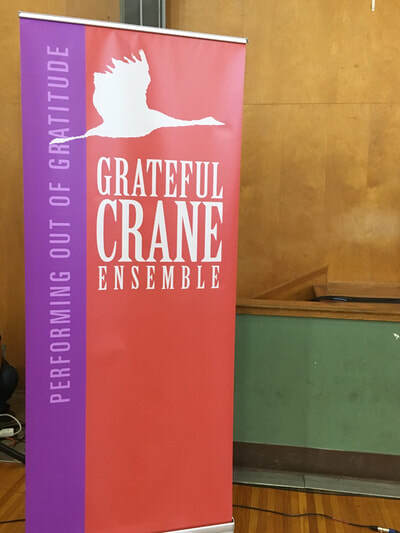 Members of Grateful Crane’s Yonsei acapella group, “The Grateful 4,” will also be on hand to sing a couple of 60’s/70’s era songs to set the tone for the reading. General admission is $35 for reading, discussion, no-host bar and dinner. 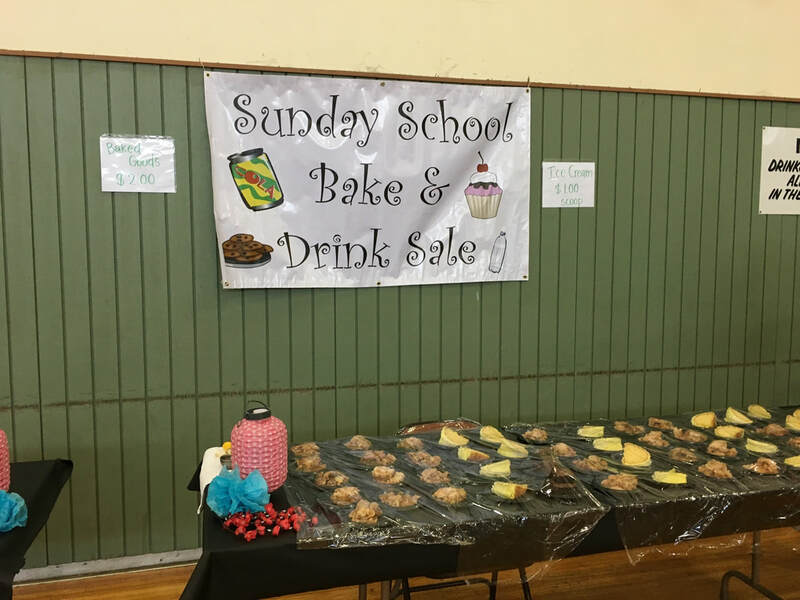 The temple youth groups will hold a Bake Sale. Purchases at the box office on performance day. To purchase tickets using cards or PayPal, use the "Buy GUS Ticket Now" button or download an order form using the "Download Order Form" button for check or cash payments. All tickets will be held at the door. Annual Memorial Service honoring Lady Esshinni, the wife of Shinran Shonin and Lady Kakushinni, the daughter of Shinran Shonin. 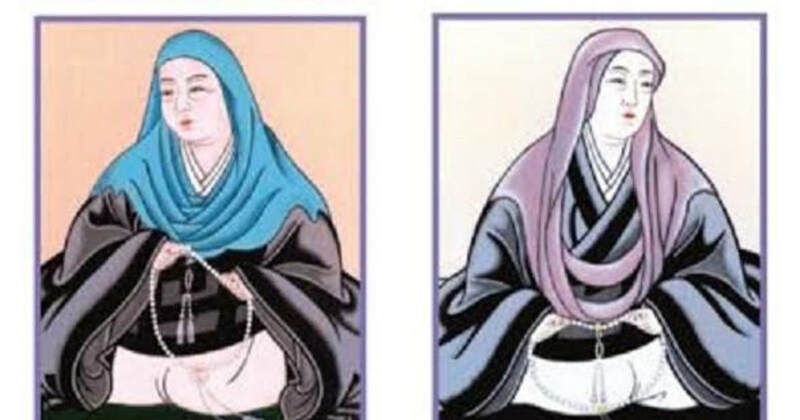 These women were crucial to establishing our school of Buddhism, Jodo Shinshu. This service will also honor members of our Buddhist Women's Association who passed away since the last Memorial Service. If you prefer to mail in a check, please download the order form below and mail to Pasadena Buddhist Temple, 1993 Glen Ave., Pasadena, 91103. Apologies. The link to purchase dinners was not working. Please try the link again. Chinese food - prepared Japanese-American style. Meals available by pre-order only. Orders due by new! Oct.13. Price increases to $15 after deadline, if available. ​ Meals not picked up by 6:00 pm will be considered a donation. 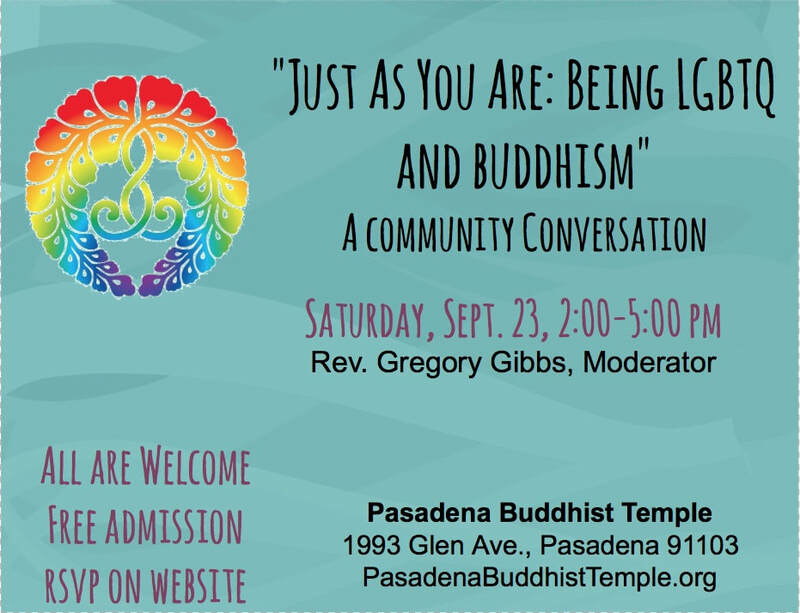 The Pasadena Buddhist Temple will host “Just as You Are: Being LGBTQ and Buddhism: A Community Conversation” on Saturday, September 23, from 2:00 to 5:00 pm. One of the most common phrases heard in Buddhist temples is “Come as you are”, reflecting the spirit that all are welcome to hear the Teachings of the Buddha. At the same time, there is the recognition that people are all unique, and understanding individual paths through life is part of recognizing the common sources of challenges facing everyone. This event will be moderated by Rev. Gregory Gibbs, resident minister of the Pasadena Buddhist Temple .There will be several speakers, a panel discussion and opportunities for conversation. Speakers include Marsha and Aiden Aizumi, co-authors of “Two Spirits, One Heart” and LGBTQ activists; and Maribeth Smith, Minister’s Assistant, Buddhist Temple of San Diego. This is a sibling event to one held by the Gardena Buddhist Church in June.The Conversation will be followed by light refreshments. “Just as You Are” is open to all. Buddhist and non-Buddhists are welcome to attend. Admission is free. RSVPs are appreciated, but not required (below). Obon Festival Foods! Sample of many kinds of foods for sale. These are all workshops/seminars/meetings that are offered by the Southern District Temples. There are a few dinners available for purchase on-site tomorrow. We will honor all orders placed via our waitlist. Please use the Wait List Form below. Thank you! PLEASE NOTE: Due to expected heavy traffic in the area on Saturday, we advise using the Lincoln off-ramp from the 210 freeway. Proceed north on LIncoln and turn right on Montana (Muir HS), and turn right again on Glen Ave. The Executive Order signed by President Trump on January 27, 2017 has been causing serious concerns and suffering for many people, especially Muslims and immigrants. It has brought back memories of the unlawful mass incarceration of Japanese Americans during World War II. Even if the intent of the Executive Order is to protect our citizens from terrorist attacks, we strongly oppose any actions that lead to discrimination against certain groups just because of their ethnicity or faith. We should remind ourselves that all people deserve to be respected and treated equally under the law. Each faith group should encourage and promote peace and harmony based on its beliefs and principles, and help create a better nation that we can be proud of. ​Please note: We are starting a Wait List. Please complete the Wait List form if you would like a dinner. Payment due at time of pick-up. Thank you. PRE-ORDERS ONLY. Deadline: Mon. March 13. For questions about your order please email Kathy Kumagai. Or leave a phone message at: (818) 790-0979. Meals unclaimed by 6:00 pm will be donated. Download a flyer and share with friends and family. March 25 Beef Teri Wait List - Your order will be confirmed via email. Thank you! Temple fund-raising dinner featuring two all-time Pasadena favorites: Chicken Teriyaki and Beef Chow Mein. The chicken is marinated with our secret sauce, then cooked over a BBQ pit. The Beef Chow Mein features pan-fried noodles just like in the "old-days". To complete the meal, there will be steamed white rice, and side dish. Tickets for the meal are $13 in advance. Dinners can be picked up from 3:30-6:30PM. All dinners will be packed "To-Go" but we will have tables for you to eat and we will also have BINGO to play to entertain you as you eat and socialize. Bake Sale with plenty of home-made goodies by our Youth Group too! $6.00 if ordered before January 29th. $7.00 if ordered January 30th or after (you will be placed on a wait list). Pick up from 11 - Noon on February 5th. A Japanese Language Class taught by our own Mitsuko Hays will reconviene in April. Classes will meet on Tuesday evenings from 7-8PM. Course is 10-weeks. Last class will meet on December 13th. Class is for adults at all levels. This is for all members and friends of the temple, and also non-members who would like to learn Japanese. Payment will be collected at each class you attend, $10/check made out to PBT (Mitsuko is donating all the fee to the temple. People on intermediate or advanced level will have a chance to explore the language and any questions about language will be discussed in the class. This is a free event, hosted by Keiro, Pasadena Buddhist Temple, First Presbyterian Church of Altadena, Pasadena Japanese Cultural Institute, and the Pasadena Nikkei Seniors. Click on the image to go to their website to see the entire program and Register ONLINE. Free consultation with an estate planning attorney and pharmacist...but these are by appointment only, these slots filled up quickly last time. "Obon is a Buddhist observance that was originally observed in Mahayana Buddhist countries, including China, Korea, Japan and Vietnam. Obon season is a time to express our gratitude to loved ones who have passed on before us. Without them, we would not be who we are today, due to the basic tenet of interdependence. In Japan, Obon has been held since 657 A.D." - Rev. Patti Usuki. Obon Family Service will be held on Sunday, July 17th at 10:00 am in conjunction with Hatsubon Service for families that have lost a loved one since the last Obon with Rev. Gregory Gibbs presiding. July monthly memorial service (Shotsuki Hoyo) will be held on Sunday, July 3rd at 10:00 am. 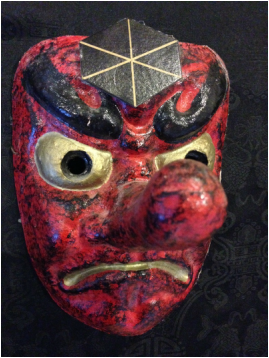 Obon comes from the story of Maudgalyana, a disciple of the Buddha, who sees his mother suffering in "hell". Maudgalyana goes to the Buddha for advice and is instructed to make a gift (a vegetarian meal) to his fellow monks. He did so, and immediately his mother is saved from the miseries of hell. Overjoyed, he and his fellow monks clapped their hands and danced in joy. Obon, therefore, is an occasion for rejoicing in liberating others and ourselves from suffering. Our Obon Festival and Bon Odori will be held on Saturday and Sunday, July 17 and 18. 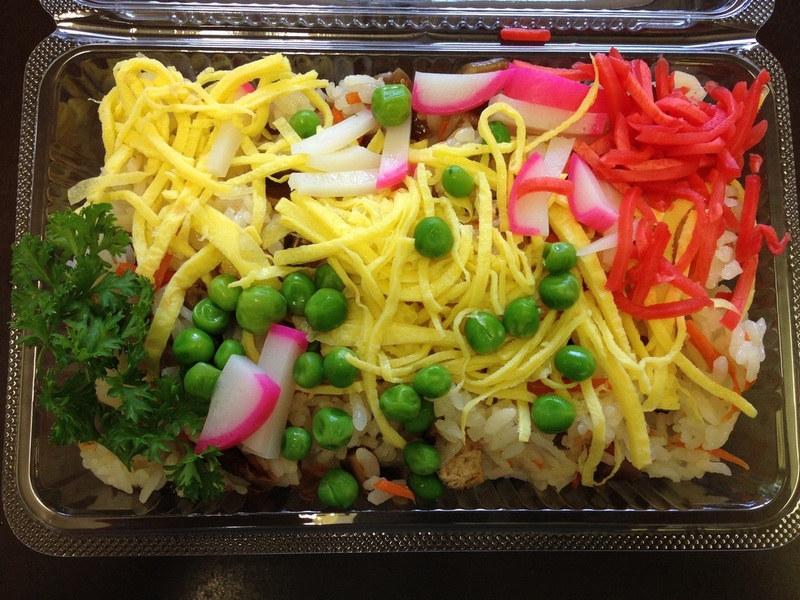 *Food booths: chicken teriyaki, maki sushi/inari sushi (Saturday only), chirashi rice (Sunday only) beef teriyaki, beef chow mein, cold noodle bites (seasoned tofu noodles in age), manju, spam musubi, chili rice, snow cones and more! Taiko Performances are scheduled each evening during the dancing break (around 7:00 PM). Saturday will feature L.A. Matsuri Taiko. Sunday will feature Taiko of West Los Angeles Buddhist Temple. For more information about the Obon Religious events, contact Reverend Gregory Gibbs, our resident minister. For information regarding the Obon Festivities, contact Jeannie Toshima. To see a total listing of all obon festivals, go to Japanese-City.com. This site also has practice schedules. This page will contain information on past events. 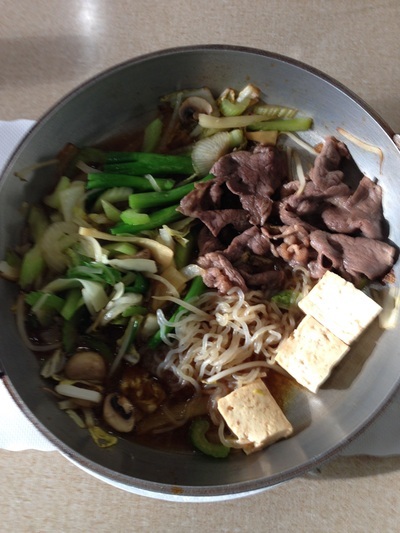 It's been 2 long years and we are again offering our Annual Sukiyaki Dinner. Complying with health and fire department codes means that we've had to change up procedures and ask your patience as we experiment with this Take-Out only format this year. Only 500 dinners will be prepared this year. A VERY LIMITED number of dinners will be available for sale at the door. ALL orders MUST be picked up in person. No delivery. Please visit our youth group Bake Sale when you pick-up your order. Orders not picked up by 6 pm will be considered a donation to the Temple. Please note that all dinners will be prepared on the 19th. However, some dinners may be refrigerated before pick-up time for safe handling reasons and will need to be reheated. To pre-order: Online purchases with click here or use button below. To pay by check, download the order form and mail with your payment (checks payable to Pasadena Buddhist Temple) to: Pasadena Buddhist Temple, 1993 Glen Avenue, Pasadena, CA 91103. All orders will be confirmed by phone or email. If you are looking to "rent" the hall or annex, please review the form. Download the form by clicking on the button then complete it and return it for board approval. For more information, contact Jim Hirano. Download the form and drop it off in the Temple office. PBT will arrange for pick up of your car. Obon! Obon! It's Festival Time! 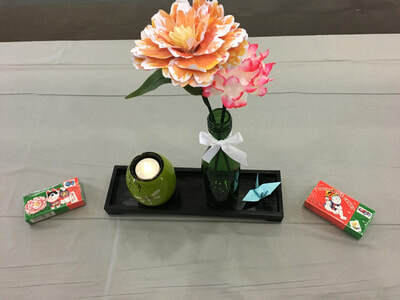 "Daily Lessons from Everyday Life"
Reluctantly, the Pasadena Buddhist Temple Board of Directors voted to postpone the 2015 Sukiyaki Dinner Fundraiser, that was to be held on March 21 and 22. Our application for a special event permit was denied by the City of Pasadena. Our cooking set-up of gas burners in the open gym where individual pans of quickly braised beef and vegetable created shoyu-fragranced clouds of goodness that filled happy tummies was deemed not up to current safety codes. Unfortunately, gyms are not considered to be kitchens and our stove set-up created risks that we agree should be mitigated. So an opportunity has arisen for our Sangha to create a safer cooking environment that will still deliver the "straight from the flame" pan filled with our secret-sauce infused ingredients that fans of our dinner have come to expect and enjoy. Those who have already purchased tickets will have their money returned to them soon. Please watch this space and Facebook for the new date for our Sukiyaki Dinner. This is our second largest fundraiser of the year and one of our signature events. We will be back! In the meantime, here are some photos from past Sukiyaki Dinners to remind you of what is to come. Our apologies to all inconvenienced by this postponement. Rev. Patti Usuki will lead her final Buddhism class for 2014: "Ask the Hard Questions". We all have nagging questions about the basics or not so basic ideas of Buddhism. There are no stupid questions, so don't be afraid or embarrassed to ask. If you have questions that you want to submit in advance, please email Rev. Usuki at PasadenaSangha@gmail.com and reference the "Buddhism Class". Please RSVP using the form below. Obon season may be gone and with it, all of the beloved festival foods. Never fear, Pasadena Buddhist Temple's Annual Fall Dinner returns on Saturday, October 25 featuring TWO of our Obon favorite dishes: BBQ Chicken Teriyaki and Beef Chow Mein. Each of these recipes have hand-made sauces from recipes passed down through the past 50 years. Our chicken is marinated in our secret sauce, grilled on our own barbecue and smoked on the grill for that special flavor. The beef chow mein is Japanese-American style with noodles pan-fried on the BBQ griddle and covered with sauce freshly wok-made. $12 will buy a meal complete with steamed white rice and small sides. 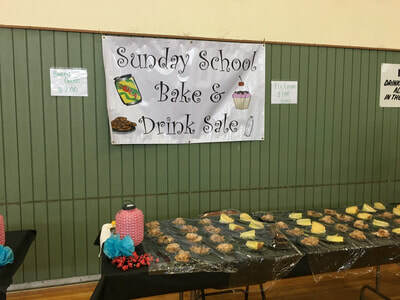 To top off the meal, please purchase a dessert from our temple youth groups' Bake Sale and Drink Sale. Dine-in or Take-out. Reserve a meal below. Reservations may be paid for at the door using check cash or credit card. Our BWA is one of 38 charities benefitting from this event. BWA receives $20 from each $25 ticket we sell, plus a portion of the raffle sales. 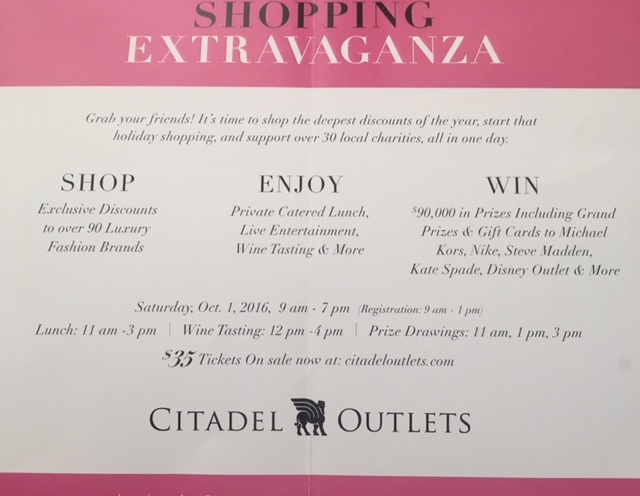 Ticket holders receive exclusive discounts to over 100 of the 130+ stores at The Citadel, free hamburger or salad lunch by Ruby's, free wine tasting by San Antonio winery, 2-free raffle tickets to $90,000 in prizes (Outlet store gift cards), entry forms for 4 Grand Prizes, complementary baggage check and free entertainment. Tickets may be purchased from a BWA member for $25 by cash or check. Buy from our website below for $27 via PayPal (includes shipping and handling cost) or visit the Citadel Outlet website (will call) at https://shoppingextravaganzacitadeloutlets.eventbrite.com and designate the Pasadena Buddhist Women's Association as your charity for $27.37 (including fees). Our BWA is one of 30+ charities benefitting from this event. BWA receives $25 from each $35 ticket we sell . 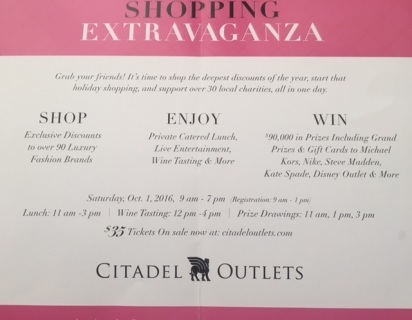 Ticket holders receive exclusive discounts to over 100 of the 130+ stores at The Citadel, free lunch by Ruby's, free wine tasting by Stella Rosa winery (over 21), 2-free raffle tickets to $90,000 in prizes (Outlet store gift cards), and complementary baggage check . BWA will bear the cost of the $3.50 service charge from the Citadel website. If you prefer to purchase your ticket from the Citadel directly, please visit: www.CitadelOutlets.com and designate Buddhist Women's Association of Pasadena Buddhist Temple as your charity. NOTE: in the absence of a service this week, here is a Dharma message by Rev. Tetsuo Unno from the November, 2007 "Hikari". It was 1944: frost lay on the ground. The place; the relocation camp at Rowher, Arkansas. The date: December 25th. Before this date, my 11 year old self had been dwelling on the War, the relocation, and the meaning of it all. On the 25th of December we were told to assemble in the communal mess hall for a Christmas party. That got my attention; I listened to the names being called out. Soon my name was called, I walked to the front of the mess hall and claimed my wrapped gift. Upon opening it, I discovered that it was a book on Chippewa Indians. Added to the book was the note, “A GIFT FROM THE SOCIETY OF FRIENDS.” Asking around, I found out that the gift was from the Quakers. I felt a warm feeling come over me. Because of the one, single act of kindness; i.e. of compassion, to this day, I have a soft spot in my heart for the Quakers. And strangely enough, even for the American Indians, the subject of the gift book. In a recently published book, “In Good Conscience,” a meticulously researched book on those non-Japanese who came to the aid of the Isseis and Niseis and who suffered for their actions, I noticed that Quakers were mentioned in approximately 75 of its 308 pages. This example of compassion has remained with me to this day and it has always encouraged me to be as kind and compassionate as humanly possible. In a broader sense, then, it is not military might or treaties or more technology etc. that will bring peace to our world but rather it is kindness and compassion that will bring about true peace and thereby insure man’s survival. P.S. : The book cited above is titled “In Good Conscience – Supporting Japanese Americans During the Internment,” the author is Shizue Seigel. Too hot to cook? Please join us at the Panda Express at 218 S. Lake Avenue, Pasadena on Thursday, Sept. 18 from 11 am to 9 pm. Bring the fly﻿er (there's two on one page, so cut in half and share one with a friend!). Our Sangha grows stronger as we all pitch in to help with Obon. Please sign up to work a shift or two by clicking on the links below and filling in slots where you can help. Thank you. Namoamidabutsu. 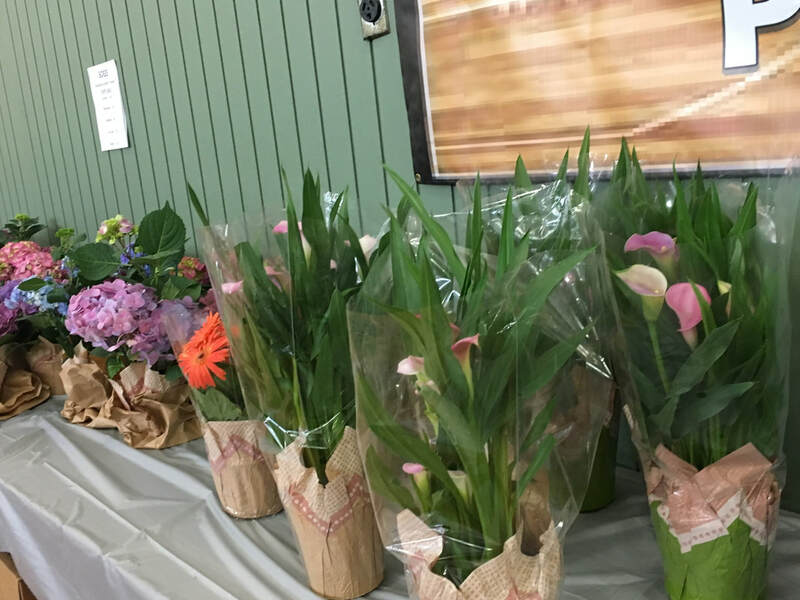 Volunteer to help at obon!! 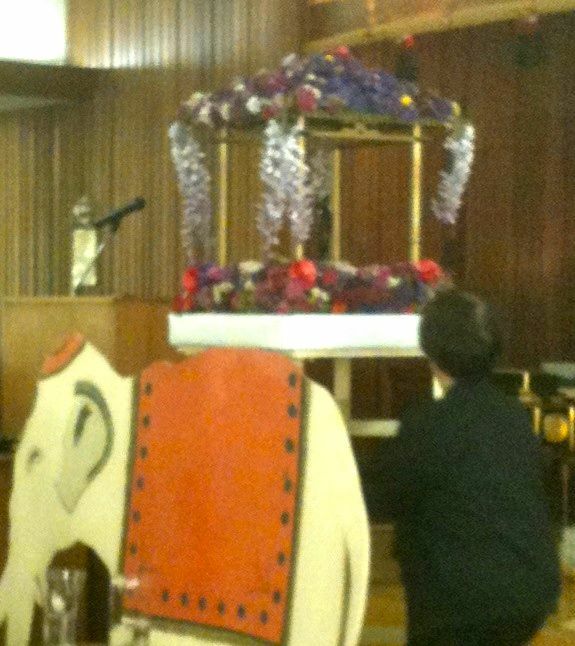 From our 2011 Hanamatsuri Service, a photo of our Hanamido, with white elephant and a statue of the standing baby Buddha. In place of incense offering, we pour sweet tea over the shoulder of the baby Buddha as an offering of gratitude. Hanamatsuri April 7th welcomes Rev. Tesshi Aoyama and Refurbished elephant! 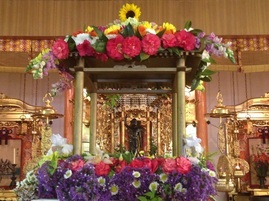 Our annual Hanamatsuri service celebrating the birth of the Buddha, will be held Sunday, April 7th at 10 am. We welcome our guest minister, Rev. Tesshi Aoyama, who will deliver both the English and Japanese Dharma talks. We will also welcome our newly refurbished white elephant to our Hanamido display. 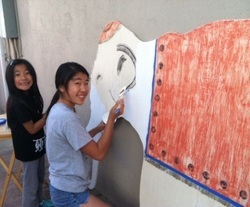 The Dharma School and Sangha Teens have been working diligently to give our elephant a fresh new look for the 21st century. The students will also be decorating the Hanamido with fresh flowers. Please join us at 10 am. 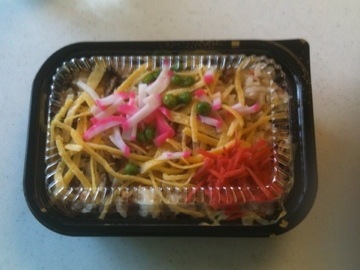 The service will be followed by light lunch of our chirashi rice. Please join us for a special service at 10:00 am honoring the wife and daughter of Shinran Shonin, founder of Jodo Shinshu, and the Buddhist Women's Association members who passed away since our Memorial Service last year: Kathryn Doi 12/03/2011, Chiyoko Nishimura 10/24/2011, Yoshie Sano 06/15/2012, Chieko Sugihara 12/08/2011, Kiyomi Sunada 04/21/2012, Yoshie Tsukimoto 05/22/2012, and Kiyoko Yonesawa 08/18/2012. Below is a pamphlet prepared by the Buddhist Churches of America on Eshinni and Kakushinni. The Pasadena BWA is once again hosting a fundraising night of dining at Souplantation, located at 201 South Lake Ave., Pasadena, CA 91101. Print the flyer below (or pick one up in the Temple office), purchase a DRINK and a meal, present the flyer at the cashier and BWA will earn 20% of your bill. There is parking below the restaurant. Please join us! Namu Amida Butsu. Thank you. We are so grateful that you chose to spend time at Obon with us this year. Your presence renewed and reinforced friendships old and new. Thank you. Thank you for your support. Your participation enlivened and increased our ability to continue this tradition into the future and enlivened and educated all who were touched by your contributions. To the Bruins: Thank you, thank you, thank you. Congratulations and thank you to our Obon Committee Chairs: Cliff Nakatani and Jeannie Toshima. You inspire and organize us to new heights every year. Please mark your calendars for Sunday, September 30 for another fun-filled outing together as an extended temple family. This time everyone is invited to join us for a picnic at nearby Switzer Falls. Since there are idyllic picnic areas adjacent to the parking lot next to a lovely rustic stream, I'd like to encourage our senior members and those who may have difficulty walking to also consider joining us for this relaxing temple service in the mountains. Following a short service and family picnic lunch together, the more energetic amongst us can proceed along the river bed (hopping boulders in the stream along the way!) to visit the former site of Switzer Camp, where such celebrities as Clark Gable and Shirley Temple used to come for a serene get-away from Hollywood as a summer retreat. The stream bed is full of many refreshing natural pools formed by the large rocks and boulders. If it's a warm day, some of you may even wish to take a dip in the cool water! Then, the even more energetic amongst us (it's not really all that difficult) can continue up, around and down a short mountain trail to visit beautiful Switzer Falls. Along the way, we'll have some exciting views of the falls below us as we go, from where I'll also point out the location of a beautiful chapel that was once situated across the ravine in the nearby hills. Unfortunately, the stone chapel is long gone now, but its remnants can still be observed from the trail we'll be taking if you know where to look. Sound interesting? It should be lots of fun for everyone! Hope you can all make it. To get to the trailhead: From the 210 Freeway in Altadena, take the Angeles Crest Highway (CA 2) northwest for 10 miles to the Switzer Picnic Area. Descent to the parking lot, display your adventure pass and begin hiking. If the lot at the picnic area is full, there is additional parking at the top of the road. Our annual Obon Festival "Gathering of Joy" will be held Saturday and Sunday, July 14 & 15. Dancing will be held nightly at 6:30 pm, followed by taiko performances at 7:00 pm. Saturday's taiko performance will be by L.A. Matsuri Taiko and Sunday will be by Taiko Center of L.A. The parking lot will be transformed into a Festival site lined with booths offering games, food and beverages like snow cones (kintoki too!) and beef teriyaki. 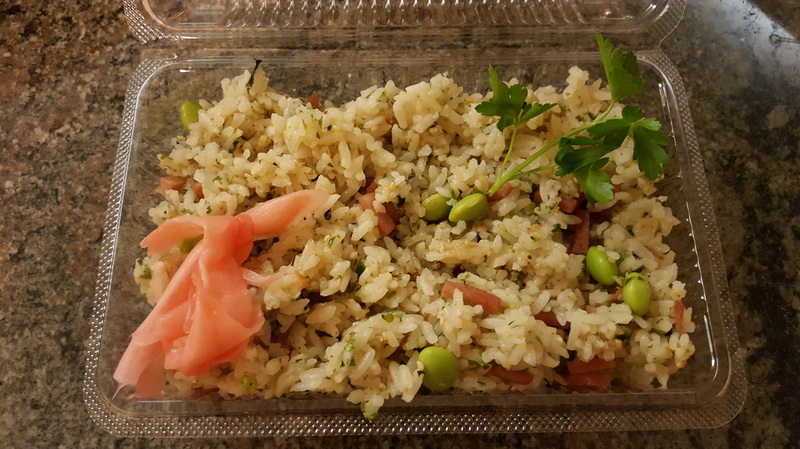 Inside the annex and classrooms we will be selling chicken teriyaki, beef chow mein, cold soba, maki sushi & inari sushi (Saturday only) and chirashi rice (Sunday only). The annex will also house exhibitions and demonstrations. Click on this photo to see all the pictures from this hike. Please send more photos to share!